The Elementals | Yeah nah. 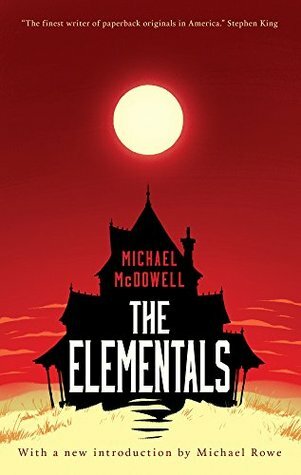 The Elementals by Michael McDowell. I’d never read any Michael McDowell before cracking The Elementals. I’d seen some of his other work, unknowingly – he was the scriptwriter for Tim Burton’s Beetlejuice – and I’d seen that he was very well regarded by Stephen King, so I figured I might as well give it a shot.